Kitchen decorating has taken on a life of its own. With fewer walls and more opportunity for guests to see exactly what is going on, kitchen decorating is changing to a less private space into a very public space. Kitchen styling is more important than ever to create a clean seamless flow from one room to another. 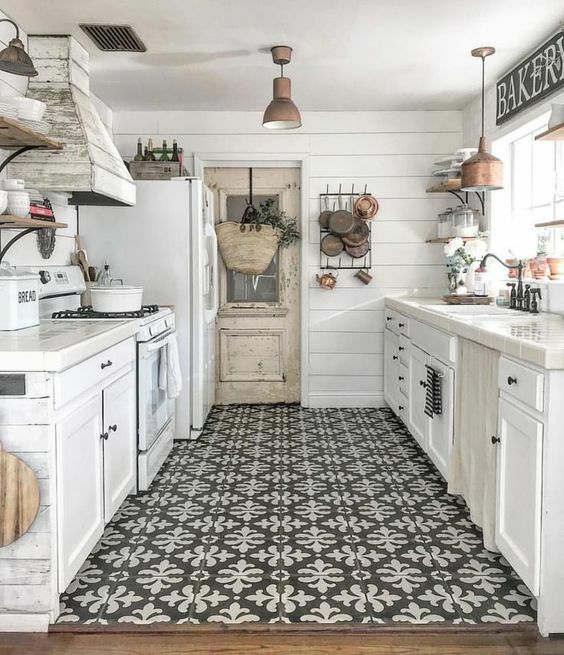 No matter what kitchen style you already have, there are new rules in kitchen decorating that make it more about kitchen styling and less about somewhere to cook. The trend is to limit the number of items with lots of space and a few decorative items. To keep your room feeling grand and spacious lighting is key. A couple of gorgeous pendants always sets the scene. They are a worthwhile long term investment. Items like wood boards add warmth and texture. Rugs and fresh flowers add color and personality that make your kitchen beautiful and inviting. In fact, the kitchen has never been 'just somewhere to cook'. The kitchen is where it all happens. Small and big celebrations for weddings, birthdays, Thanksgiving and Christmas to the smaller gatherings for breakfast, dinner and tea or coffee with friends.Its where most of share our secrets, make life changing decisions, our fights, make-ups and late night snacks. With all that going on, and less walls to hide it, it's time to style and organize your kitchen. Here are some decor ideas that can help you pull your own style together. Whether you are looking for everyday ideas or staging your kitchen to sell, these will make the kitchen a happier place to live and work. There is one rule that overrides all other rules. Make sure you kitchen is Clean! Start with organizing and decluttering what you already have before styling and will make your kitchen decorating process much easier. More on cleaning below; but once cleaning and organizing are out of the way get ready to style! This is where you add warmth and personality to the space. Organizing things in groups gives areas of your kitchen symmetry, even where there is none. 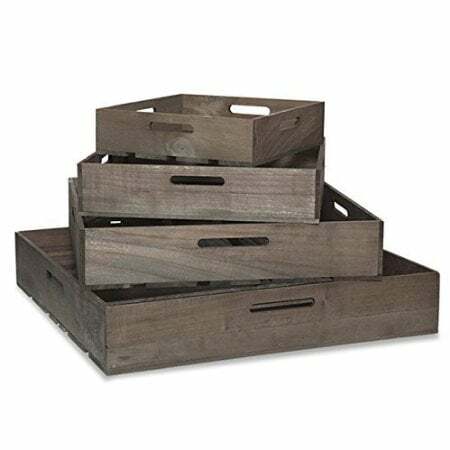 This can be cutlery, trays, boards and even pots. These can be done by placing items in jars, on trays or collecting groups like cutting boards, together. 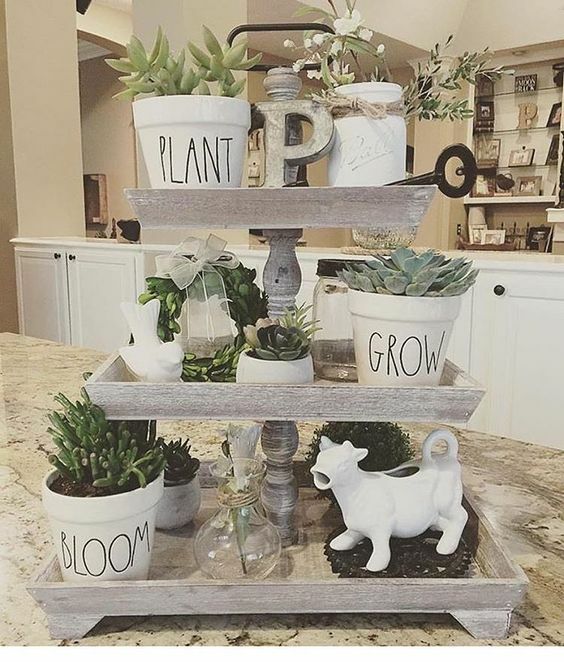 Find ways to repurpose what you have by painting, distressing, adding some new element or taking it apart! Wood cutting boards in different sizes, woods and shapes is a great styling tool. Cutting boards are not only useful but wood tones add warmth to any kitchen. Group together and you have a touch of style. 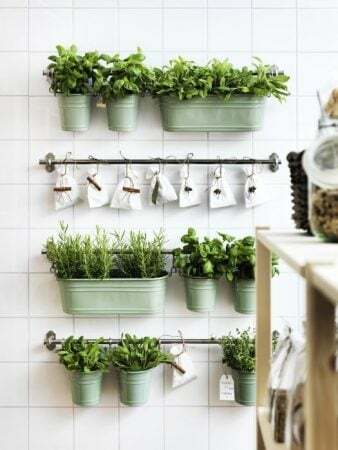 Use this with your serving utensils, herbs and flowers; placing them in similar containers and keeping them close by. 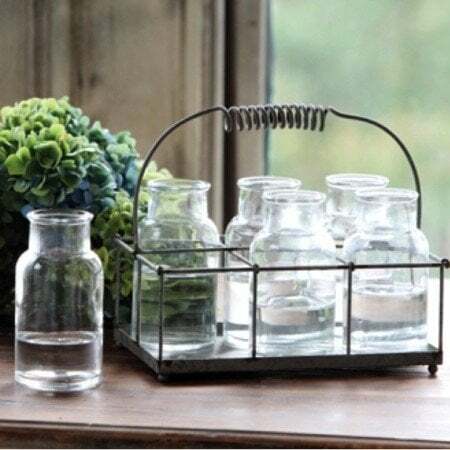 Sometimes its all about what you are grouping and sometimes you need a fancy container to lock in your kitchen decorating look! 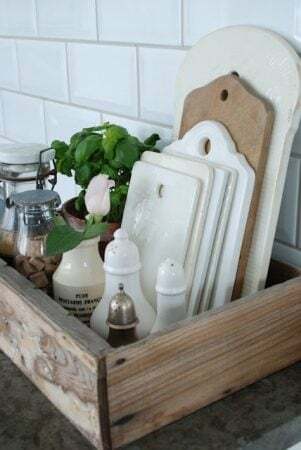 Using trays can help your kitchen decorating to create micro focal areas in your space; styling and organizing at the same time. 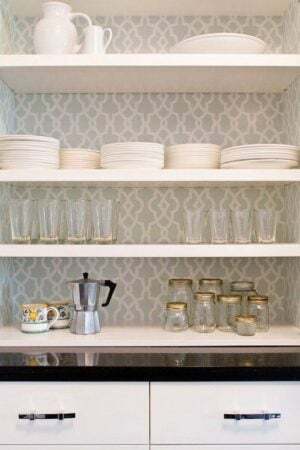 Put similar things together; flatware, cookbooks; group almost anything that will create a decorative feel, make things easier to find and great to look at. 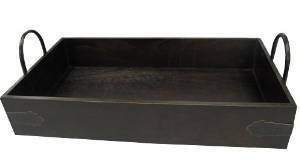 The size of the box or tray really depends on the size of your counter top bench and the size of your kitchen. Whether you recycle, upcycle or buy something you love; your container can make all the difference. 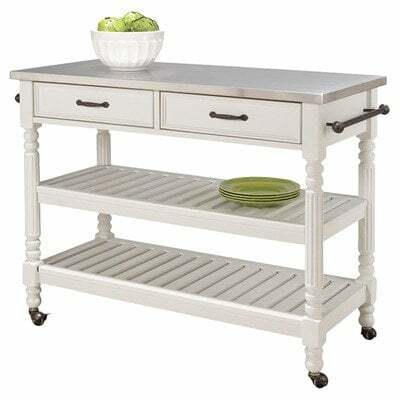 Whether you kitchen and dining room are adjacent or in separate areas, a kitchen or bar serving cart can make life so much easier. They look great, organize and make it easy to find things quickly; all within easy reach. 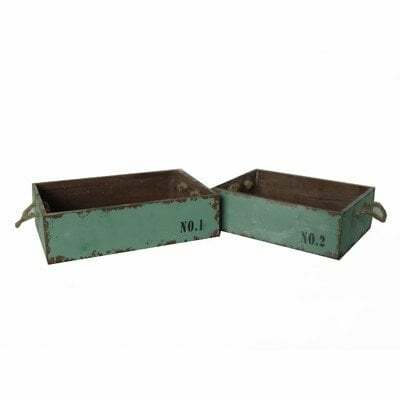 There are so many styles to choose from like this industrial vintage look that is so popular right now. 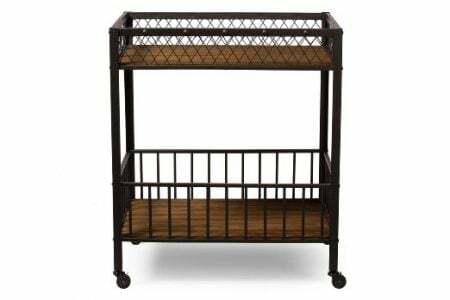 Kitchen decorating is easier when you can use storage effectively. 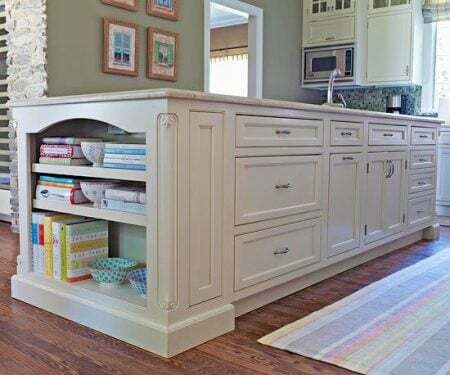 A kitchen island is a practical piece of kitchen furniture, especially if it has curved or beveled detail and shelving at either end to store books, appliances and other essentials. There are a lot of kits you can put together, instead of buying or getting a custom piece made. They vary in size, some have storage at either end, some have wheels. Sometimes all you need is an extra bit of space to make your kitchen look great. 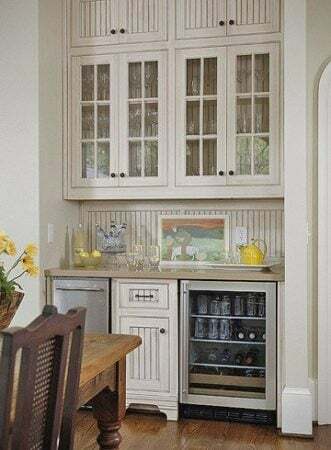 Another functional piece of furniture is an under counter wine or bottle refrigerator. This keeps bottle properly chilled in a small unit. It means you don't have to open your main refrigerator with guests around. Lines of bottles make a great focal point.If you have space, you can place it under your kitchen island, or simply place it under a counter. There are dozens of styles, colors and sizes of under counter refrigerators to choose from and one to suite every kitchen space. Avoid an overly industrial kitchen look by putting your microwave oven, blender, toaster, mixers and juices behind a cabinet door. Whether it's an opaque laminate door or a clear glass door, behind a closed door clears your kitchen benches and makes your kitchen look more streamlined. If hiding them is not an option, use open or floating shelves to store them neatly; making sure they are still accessible. 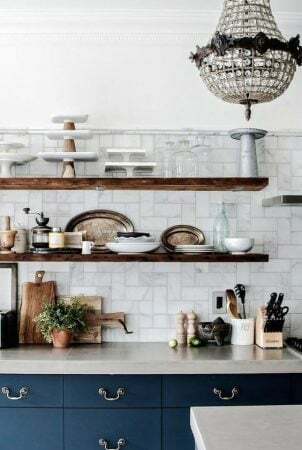 To style open or floating shelving reduce your display to one or two colors; unless your kitchen decorating style is more eclectic. Dishes and glasses should be stacked, or lined up like soldiers, to create a clean minimal feel. 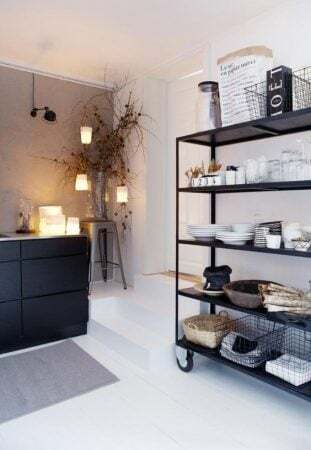 Add beautiful cook books for color, a few favorite things, group vases or trays together and add some greenery whether its fresh flowers, herbs or a potted plant. Open shelves can be moved around to suit your current needs - but shelves should be styled and never overcrowded. Keep colors to a minimum and add some additional neutral tones to balance out other colors. 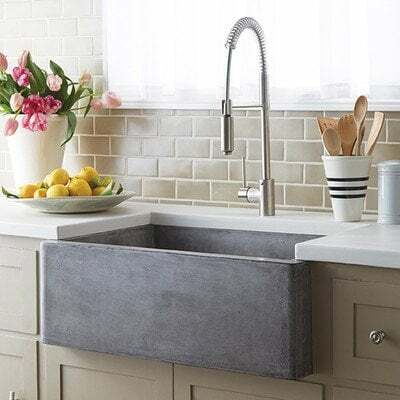 Changing your faucets can really change the look of you kitchen sink to bring it up to date or give it a certain style to fit in with your kitchen. Faucets and sinks are often sold as a set like the one below but it's not necessary to buy the whole kit and caboodle if it's not necessary to upstyle. 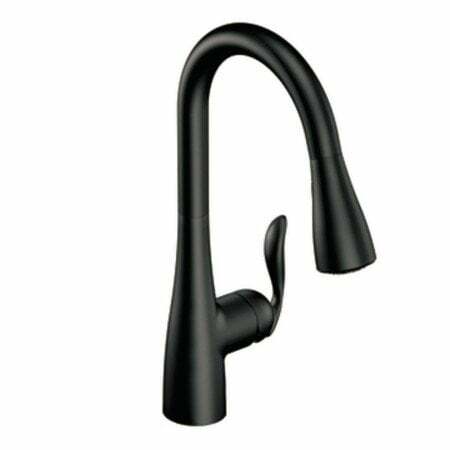 Its easier and cheaper than ever to replace your faucet with a beautiful, stylish faucets from Lowes, Home Depot or Amazon. You could go new and fancy for the latest faucet or have fun rummaging around at salvage yards for older pieces with character (as long as they fit). Add lovely packaged soap, flowers or herbs and utensils complete your styling. Fabric color and texture can quickly change the look of you kitchen chairs using a simple staple gun, some time and fabric. Here's a how to do it yourself...from Design Sponge. It's very detailed. Don't worry if your chairs have different styles. Using great fabric, new or vintage, has a great way of unifying them, so they look uniquely part of a set. Even the simplest window treatments can have a huge impact on a kitchen space and totally change its look and style. 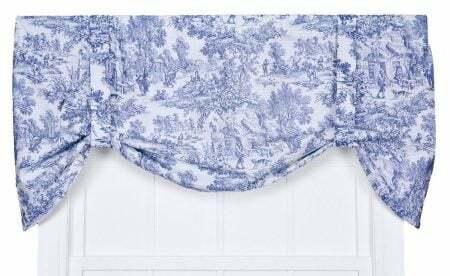 A simple curtain panel, Roman shade or shutter can add warmth or a new look. Look at this post on window treatments to see the style that best suits you kitchen and how to make one to fit. Wallpaper isn't just for walls! You can use it to back bookcases, shelving and line drawers but for a full frontal effect what about cabinets? Each of these ideas will give your kitchen a new look. 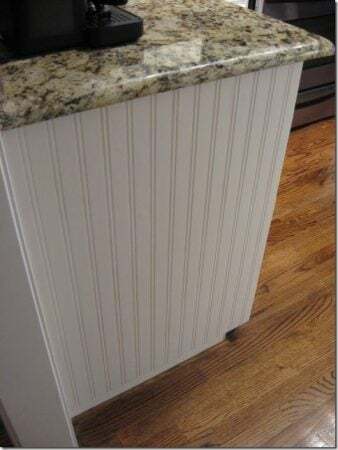 Do you know about paintable BEADBOARD WALLPAPER? You can find it at Lowes or Amazon. 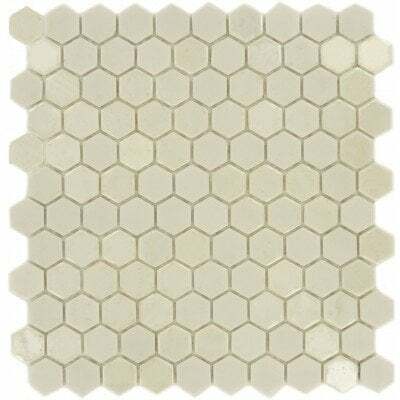 Use it to cover the ends of your kitchen cabinets or kitchen island for a very stylish look. Doing your entire kitchen cabinets is possible but a much, much bigger job! If you don't want to use wallpaper glue, you can try thisDIY version. And if you don't want to use wallpaper, then think about contact paper like this image below. Changing your kitchen lighting makes a huge difference to the mood of any room because of both style and lighting. Even adding a dimmer or choosing soft white light bulbs can change the feel of a room. Try this in your kitchen if you want a quick style up date. 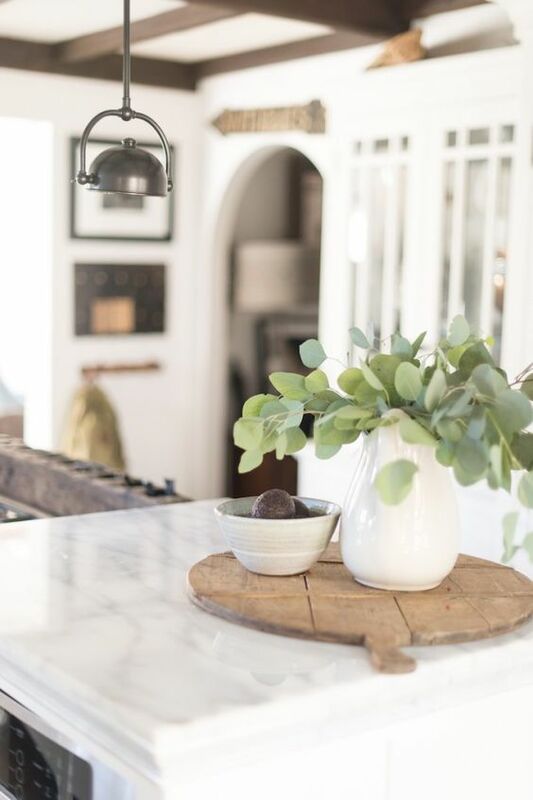 If you need more natural lighting in your kitchen read this post. Adding something special and unexpected to your kitchen cabinets is a great way to change and style your kitchen. Go from function to fun; fast. You can switch out your kitchen cabinets, stain them, paint them or add glass for a new look. Choose a style that is also functional and easy to hold as well as good looking. Whether you paint or replace your cabinet doors this is a great time to add something special to your kitchen. Glass doors means keeping them clean and keeping what lives behind them to a minimum; think miniature showcases. Choosing new door handles is a great way to change the kitchen decorating style of your kitchen; updating with little time and expense for a brand new look. There are so many great, and inexpensive, pull designs. Too many to list here but you can see a great range here. Now on to styling your kitchen to sell! 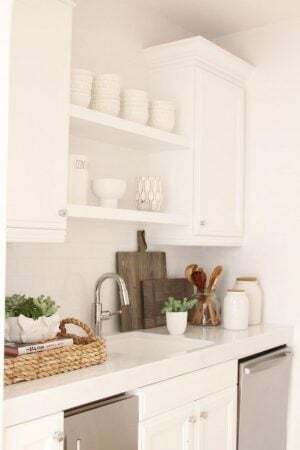 7 Ways to Style Your Kitchen Decorating! The kitchen is the heart of any home and most buyers are very much aware of that! Often, the kitchen is the first room potential buyers want to see. They want to know how much kitchen cabinet space is available, whether or not appliances will fit their needs, and whether or not they can see themselves cooking in this space for years to come. Will it stand the test of their families needs, Thanksgiving and Christmas celebrations? Are you ready to stage your kitchen and make it look like the best one they’ve seen yet? 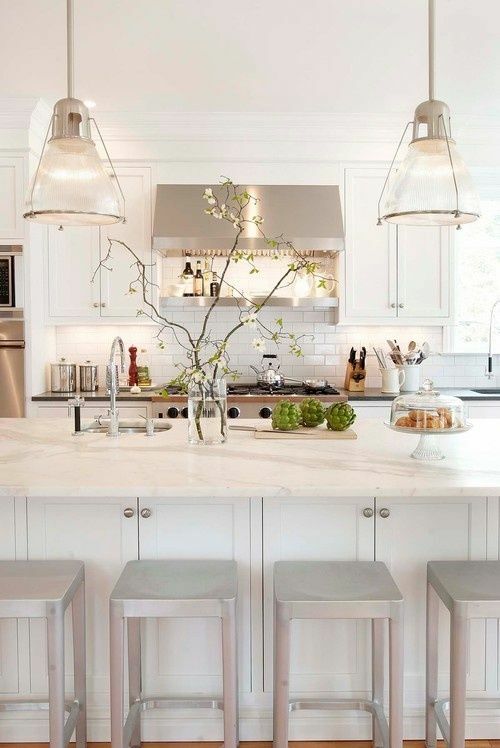 Try these simple staging tips to add magic to your kitchen. Clean like your mother-in-law is coming over… er, like the sale of your home depends on it. This is the simplest, cheapest way to make your kitchen look more attractive. Go through and scrub all those hard-to-reach crevices that you usually only get to a couple of times a year. Wipe down cabinets, clean off appliances, and take the time to pull out the fridge and make sure that everything that’s showing is clean. Clean everything you can off of the counters, limiting it to two essential items. A neat, tidy kitchen is very appealing to many potential buyers, and all it costs you is a little time and effort. Consider a fresh coat of paint to freshen up the walls and make your kitchen look like new again. If your cabinets are looking a little dated, a fresh coat of paint can also be cheaper than replacing them. Choose a neutral color that will go well with any kitchen theme to attract buyers as much as possible. Update your appliances. Studies show that new kitchen appliances bring high returns from sellers. They want the latest and best, and they’re willing to pay to get it. Get rid of old appliances that make your entire home look dated. That refrigerator might have been running beautifully for twenty years, but that’s not what buyers are looking for when they first check out the house! Try stainless steel stick-on coverings for your old appliances. Some appliances can even be painted with epoxy paints to make sure they all match! 4. LIGHT AND AIRY DOES IT! Buyers love light and airy rooms. Let the sun shine into your kitchen to make it seem brighter, lighter, and more open. Open up your window shades to let in the light whenever you know you have buyers coming by. 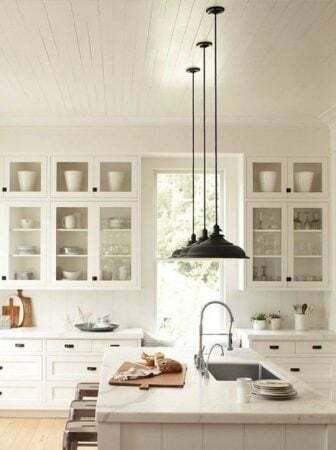 Use plenty of artificial lighting to brighten up the kitchen, and choose light-colored paint for your cabinets and walls to create a light, airy feel in the kitchen. It’s amazing how much changing around a few accessories can change the appearance of your entire kitchen. 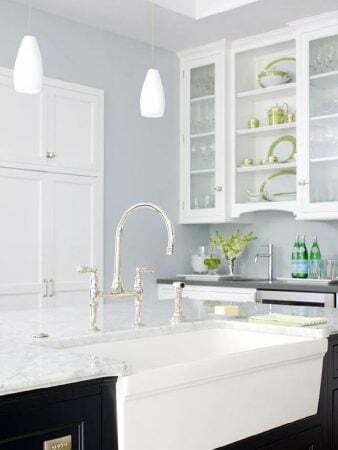 An impressive faucet, for example, can make an old kitchen look much newer. Try some handsome hardware or go for a minor backsplash tile remodel. 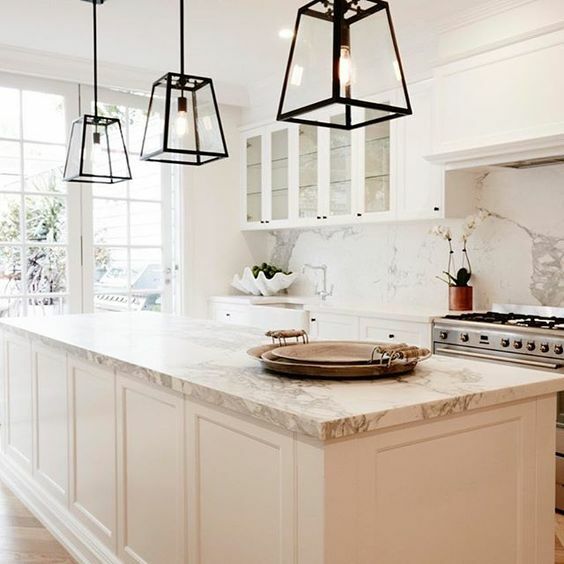 Updating your light fixtures can also make a big difference in the appearance of your kitchen: not only does it provide a brighter light for your kitchen, it also allows you to change up your look and make it more modern. 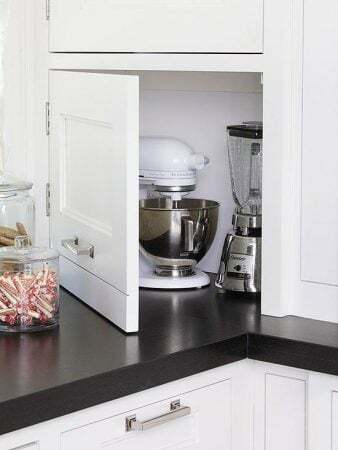 Everyone is looking for storage, especially in the kitchen! Clean up and clean out your cabinets to show off how much storage space you really have. Remove unnecessary items or items that you aren’t using, which will help the cabinets look like they have more space than they really do. Organize your pantry and your cabinets. People will open them and look inside! Add a few gourmet touches to really up the appeal of your kitchen. Choose a centerpiece for the kitchen table. Set out fancy hand and dish soap beside the sink. 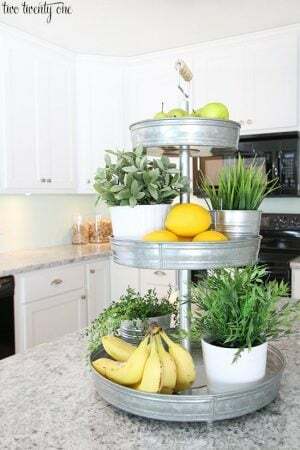 Add new tea towels or display fresh fruit. 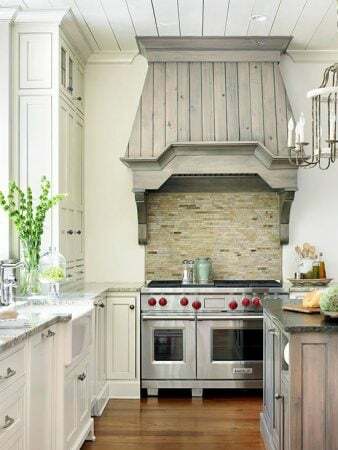 A pretty pot or teakettle on the stovetop can also add a welcoming touch. 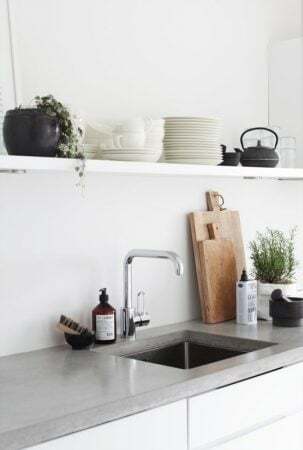 These small touches might not seem like much, but they can make a huge difference when people are imagining themselves in your kitchen. 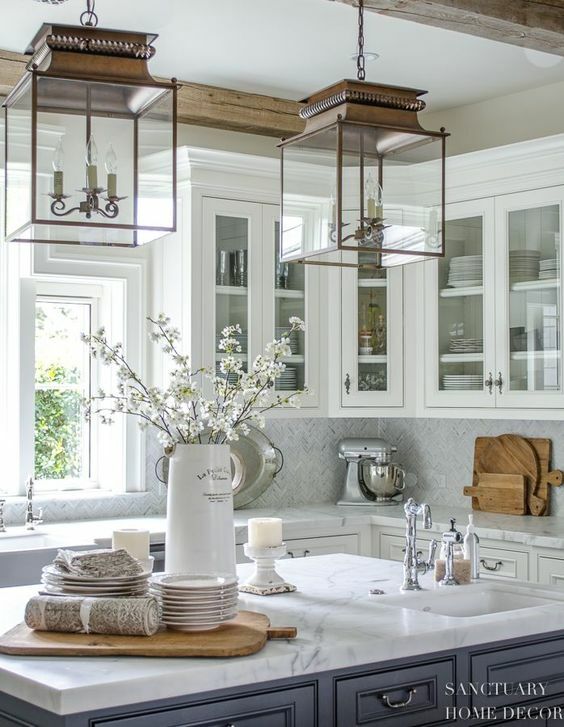 You want your kitchen decorating to exceed your buyers’ expectations. When they walk into the kitchen, they should be entranced by everything that your house has to offer. Christine, your designs and decorating tips are wonderful! You have such a range of options from DYI to high end, and they have really helped me get a vision which is no easy task. Thank you so much for your brilliant ideas! your welcome... its all about a little inspiration. Thank you so much for your email. It means a lot to me!